As one of the world leaders in automotive battery design and manufacture, Yuasa's range of new batteries offer you improved active mass efficiency through better absorption of the acid, increased lifespan of the battery and higher starting power even at lower temperatures. 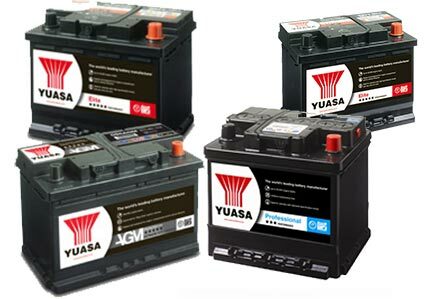 New to Auto Trans Gloucester Ltd, Yuasa batteries not only offer you increased performance and reliability but also excellent value for money. Auto Trans Gloucester Ltd are pleased to now be able to offer our customers LUK clutches. 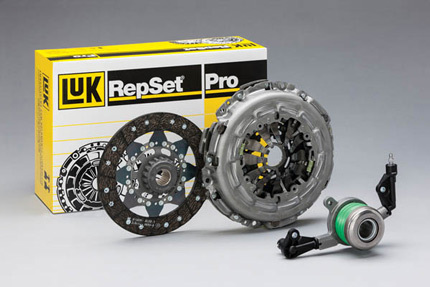 With LUK's comprehensive range of clutche kits and components we can provide you with the perfect clutch for your car. As Gloucesters only certified fitters of LUK Clutches, our technicians are all fully trained and accredited by LUK to fit their clutches to their exacting standards. And with LUK's parts warranty you can have total piece of mind for years to come. I gave Autotrans a ring for a quote to change the transmission oil in my Subaru. Totally impressed with the price and Doug also changed the differential oils as well while he had the car. Immaculate workshop as said in other testimonials, this is a man who thoroughly takes pride in his work, he even showed me round the workshop as I was intersted to see what was actually inside.I have no hesitation in recommending Autrotrans to anyone who needs a service or work on their automatic gearbox. An absoulte pleasure to do business with. Michael J.